How to fully experience God’s perfect strength. 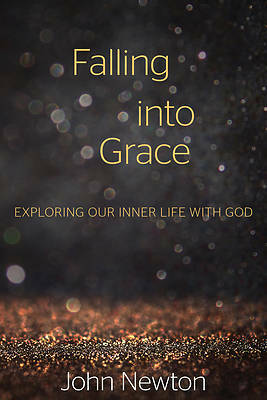 - A focus on the Christian spiritual life from the perspective of grace, not works - Popular new and emerging author - Study guide included for personal or small group reflection Jesus was quite clear that we must lose our life before we find it. This book gives a hopeful and realistic look at what losing our life entails, articulating how "growth" in the Christian life is not our ascent to God but the process by which our eyes are opened to the beauty God has already given to us. It is a book about descending into God, and into our own inner depths, about the deep waters of the Christian faith. "Put out into the deep and let your nets down for a catch." (Luke 5:4) We live in a world that values productivity and success, and we vainly imagine that God expects us to be spiritually productive and successful, too. It doesn't matter how much we talk about grace, our conversation is often narrowly focused on what we need to do for God-so much so that we often block the work God longs to do in us. This book does not articulate God's work as a process by which we become spiritually strong, but rather as the process by which we embrace our weakness as the place where we most fully experience God's perfect strength (2 Corinthians 12:9).